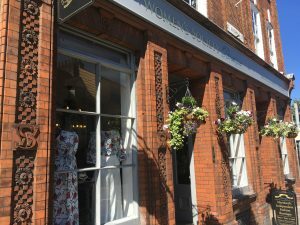 Muddy says: winner of Best Women's Store in the Muddy Awards 2018, The Women's Society Boutique is a standout winner in Hertford! 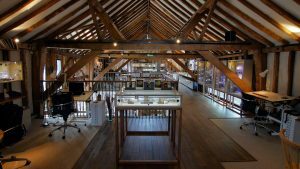 Muddy says: Goldsmith and enameller Fiona Rae won Best Jewellery Store in the Muddy Awards 2018. It's hardly surprising. She holds a Royal Warrant, she's a talented and fascinating person, and each piece of jewellery tells an interesting story. Muddy says: number twenty won Best Gift Shop in the 2018 Muddy Awards. Step inside and you'll see why it deserved to win! Muddy says: whatever you are looking for, you are likely to find it here. 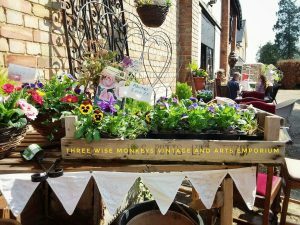 Three Wise Monkeys is a vintage and arts emporium like no other. Fashion, vinyl, furniture, lighting, arts and crafts materials and classes, readings from the resident medium, and a café for when it all gets too much. Muddy says: to experience Savile Row in Bishop's Stortford is a very special and delightful thing. In addition to bespoke tailoring, you will also find made-to-measure suits, wedding hire wear and accessories. 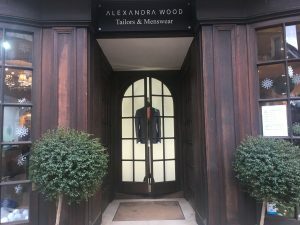 Put Alexandra Wood in your own little black book and make a date to visit. No appointment necessary! 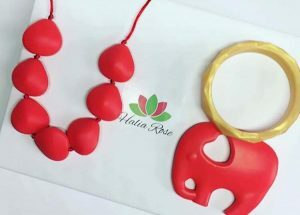 Muddy says: this stylish, colourful jewellery is also chewable! It has to be seen - and worn - to be believed. Muddy says: we reviewed Blackfish swimwear and gave the tankini and shorts a fins up. Blackfish swimwear has been designed to give a second skin flattering fit. It works! Muddy says: Bespoke means bespoke for Harriet Kelsall who continues to win awards for her jewellery design and ethical business practices. 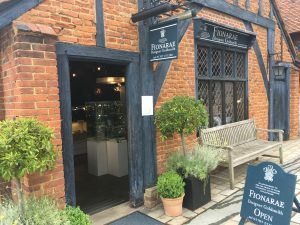 Muddy says: Amelie is a fun and friendly, super stylish boutique and lifestyle store in Berkhamsted offering beautiful clothes for every day wear. 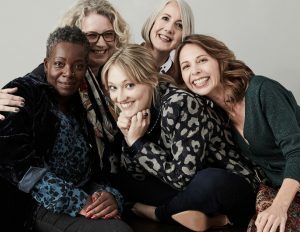 With a whole host of brands including American Vintage, MIH Jeans, Paul Smith, Hudson and Escentric Molecules, Sharon and her team are great at offering styling advice and are also refreshingly honest! 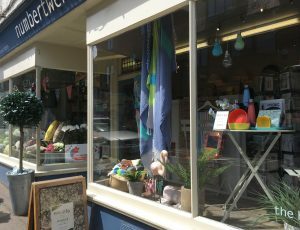 What Sarah Did is a lifestyle store that for me epitomises all that is great about Hitchin. Quirky, individual, and hugely supportive of other independent retailers and businesses.